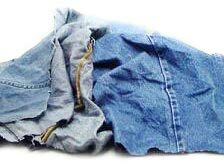 Light Denim Waste Cut Wiper that we manufacture, export and supply is widely in demand amongst buyers. Our Light Denim Waste Cut Wiper is known for its high absorbent capacity, smooth texture and soft texture. It is weaved using the light denim fabric and used for cleaning window glasses, floors, etc. Moreover, it is helpful in removing dusts, moisture droplets, mists from the surface with ease.